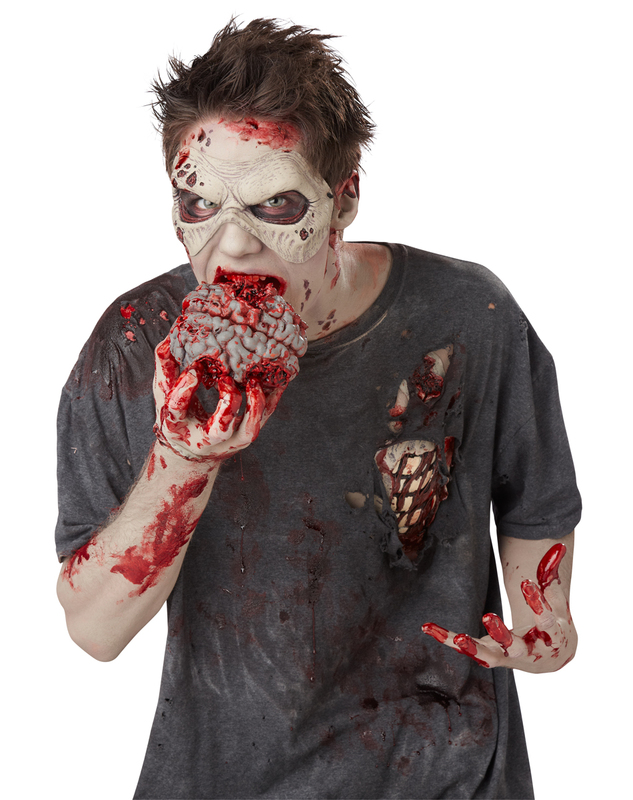 You can't be a creeptastic human eating ghoul without this Zombie Brain Kit. Set includes three self stick bloody oozing wounds, 1 tube of fake blood makeup and one piece of delectable brain food. Get your very own Zombie Brain Kit or view more Zombie Halloween Party Props & Decorations right now!